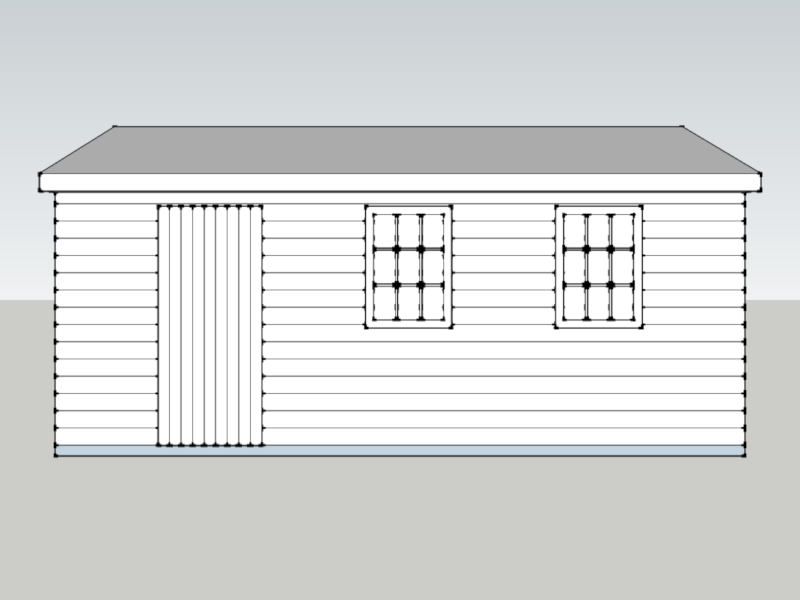 This Premium Timber Workshop was built to use as a general workshop with workbenches fitted along three sides…. 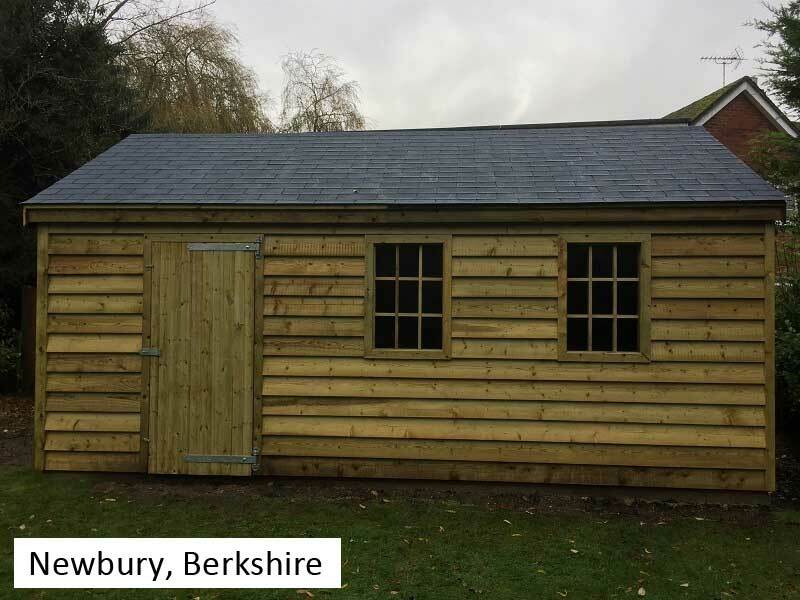 The Phoenix Timber Premium Timber Workshop is initially priced as a SHELL BUILDING that can then be upgraded to your own specification. Each adjustment will be costed individually so that you know exactly where your money is going. The walls are 7’2” high with 3” x 2” framing and with a breathable membrane. The outside walls are covered with 16mm shiplap tongue and groove boards with a 12mm tongue. Coming as standard are 5’ Double garage doors and 2’ x 2’ windows positioned where you choose. The 18mm OSB floor has floor bearers spaced at 18” for added strength and the outside is treated with our 1-year Phoenix Oak. Delivery, construction and VAT are all included.